Flower brick and cover of tin-glazed red earthenware, painted with a Chinese Cizhou vase, baskets and foliage in colours. 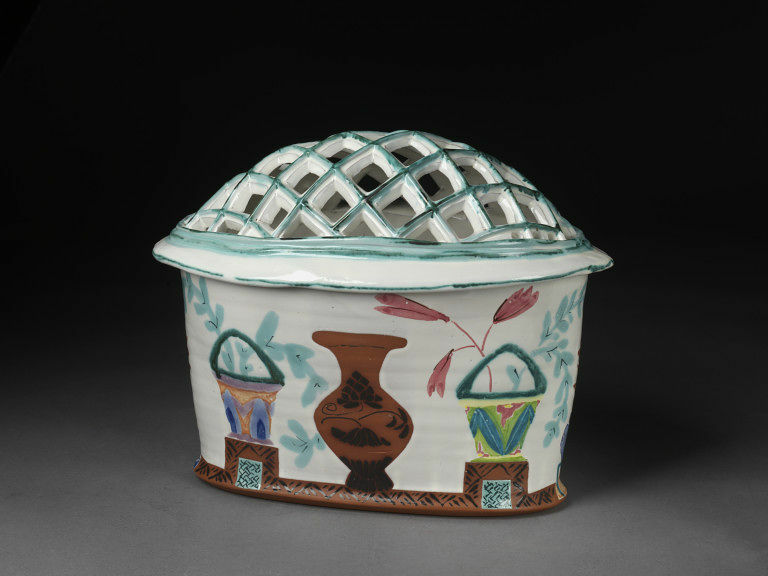 Flower brick and cover, tin-glazed red earthenware, made by Walter Ostrom, Indian Harbour, Nova Scotia, Canada, 1988. 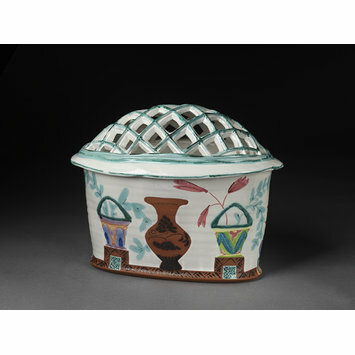 Carnegy, Daphne Tin-glazed earthenware, 1993, Illus. Walter Ostrom: the advocacy of pottery, Art Gallery of Nova Scotia, May, 1996.